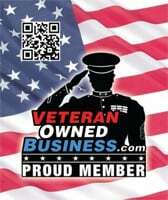 Veterans Integrity is a construction & Home Inspection company that believes in the core values of honesty, quality, and putting customer satisfaction above profits. Our goal with every customer is to not only build their project or inspect their home, but also to earn their respect, and ultimately their referral. We hope you enjoy your experience with our company and we look forward to working with you. At Veterans Integrity Exteriors, we offer free exterior home inspections for possible hail or wind damage to our perspective customers homes. We have years of experience working with homeowners and insurance companies to ensure our clients homes are properly restored to pre-storm condition. Please call to schedule an appointment.